at an incredibly attractive price. VNET Voice solutions are customized to meet the needs of your organization. Simple, Flexible, and Cost Effective. VoIP is the future of voice communications for businesses. Migrate your legacy PRI services to VNET and enjoy more reliable communicationswith Unlimited Calling at a competitive rate. Looking to have a national sales presence or support overseas customers, VNET can develop a customized solution that provides you with toll-free calling and International support. Moving to a new phone system and want to enjoy scalable communications? Work with VNET to connect your existing PBX or new phone system with a SIP trunk to enable flat rate and scalable communications for your organization. Looking for the latest PBX features without the investment in on-premise hardware? VNET’s Hosted PBX service provides you with all the capabilities of an enterprise phone system at a per extension cost. Velocity Network features the latest IP phones from Polycom and Yealink to power your organization. These phones feature HD Audio, Gigabit Ethernet connectivity, and advanced displays. 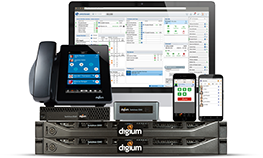 VNET offers on-premise VoIP Solutions from Digium Switchvox. Switchvox is the smarter choice for your next phone system. Switchvox’s pricing includes all of the features you need for one low cost. With solutions scalable to hundreds of handsets, Switchvox is the best choice for an advanced Unified Communications phone system. As the region’s only locally-owned telecommunications carrier, our team is available to support your organization 24/7. Regardless of the size of your organization, VNET can deliver a telecommunications solution that works for you. Contact us today to find out how Voice service from VNET can help move your organization forward.